Most of the hard hats on the market today are classified into two groups by the American National Standards Institute (ANSI). The first classification being helmets intended to protect workers from strikes to the top of the head and the second being helmets designed to lessen the impact of top and side blows. 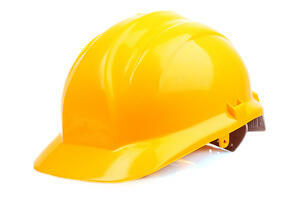 OSHA expects employers to provide hard hats that meet ANSI’s standards. The overall goal of the research being conducted by NIOSH is to improve the overall construction of hard hats to better prevent traumatic injuries and offer better protection against falls and objects striking a workers head. The research of the hard hat redesign being completed by NIOSH could lead to a recommendation from ANSI to change its hard hat consensus standard. If the ANSI standard is updated, manufacturers should begin to produce hard hats using the new design. NIOSH estimates completion of the project for 2018.